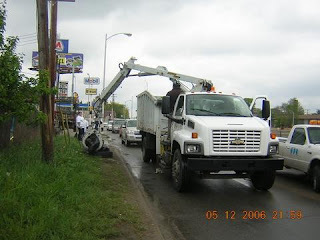 I want to remind everyone that next Saturday, May 19 at 9:30 a.m. is the Motor City Markover for the Warrendale neighbor- hood. Please join local leaders, businesses and your neighbors for Detroit's annual clean up. Everything starts at the Tipperary Pub (8287 Southfield Fwy.) and should last until 12:30 p.m. The event this year is being coordinated by State Representative Gabe Leland and the Warrendale Community Organization. It will focus on both the Southfield service drive as well as removing the scrap tires that someone dumped in Rouge Park.